While summer may be my favorite season fall is definitely my favorite food season. 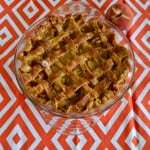 From apples and pumpkins to peaches and plums, I love all fall foods. One of my favorite fall foods are peaches. 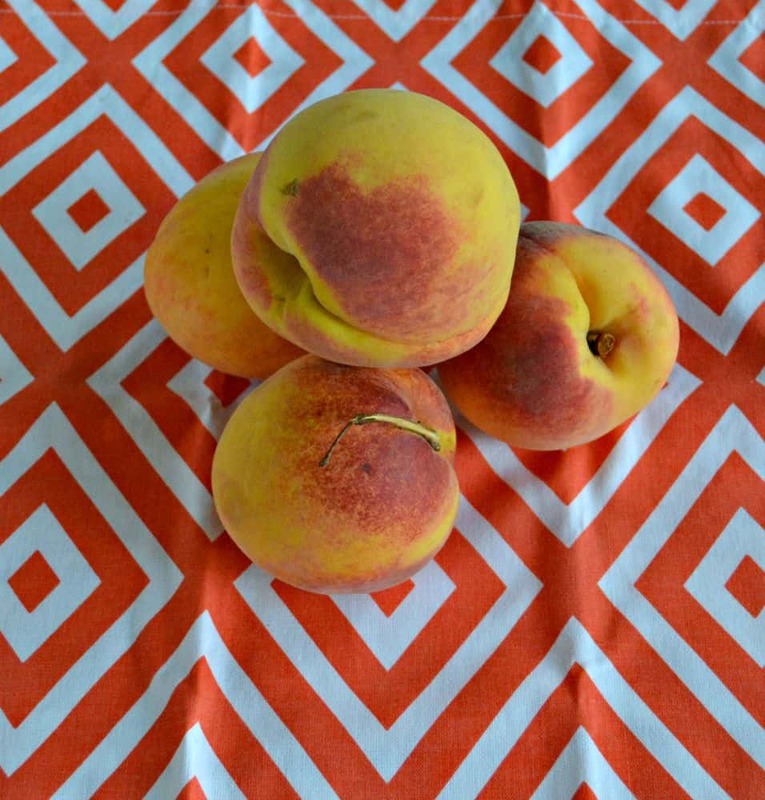 I recently received a box of fresh, juicy Georgia Peaches and couldn’t wait to try them! My husband and I quickly cut one up and split it. The peach was sweet, juicy, and delicious. Before giving it a second thought I began chopping up more peaches and tossing them in a baking dish. I tossed the peaches with flour, brown sugar, and cinnamon then put a tasty crumble on top. 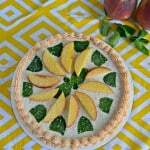 I baked it until the peaches were bubbling and the topping was getting golden brown. As I pulled the crisp out of the oven it smelled both sweet and spicy. 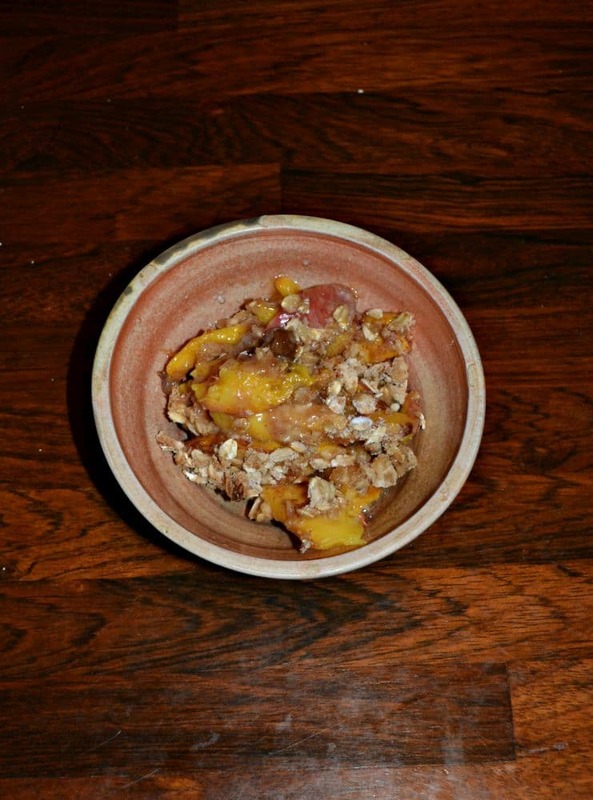 The peaches were soft and sweet while the crumble was hot and crunchy. My husband and I each enjoyed a dish. The only thing that could have made it better would have been a scoop of vanilla ice cream! Maybe next time. 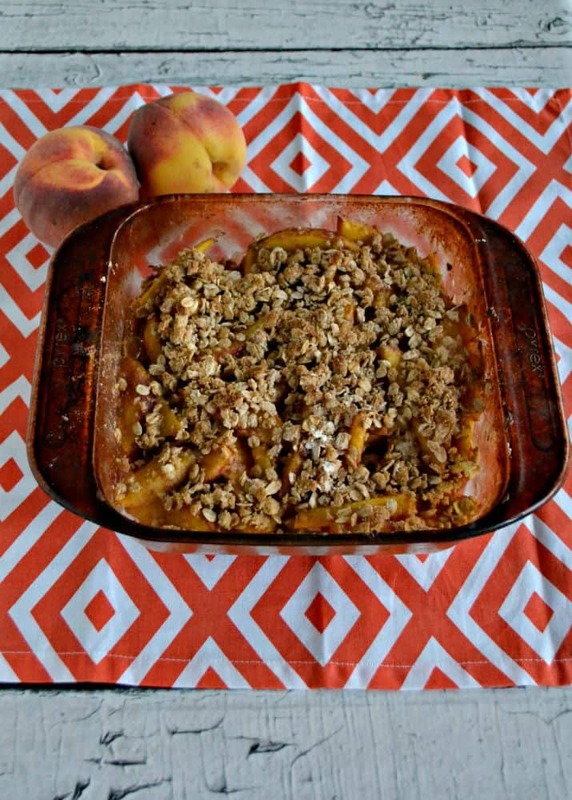 Fresh, juicy Georgia Peaches topped with a crunchy crumble. 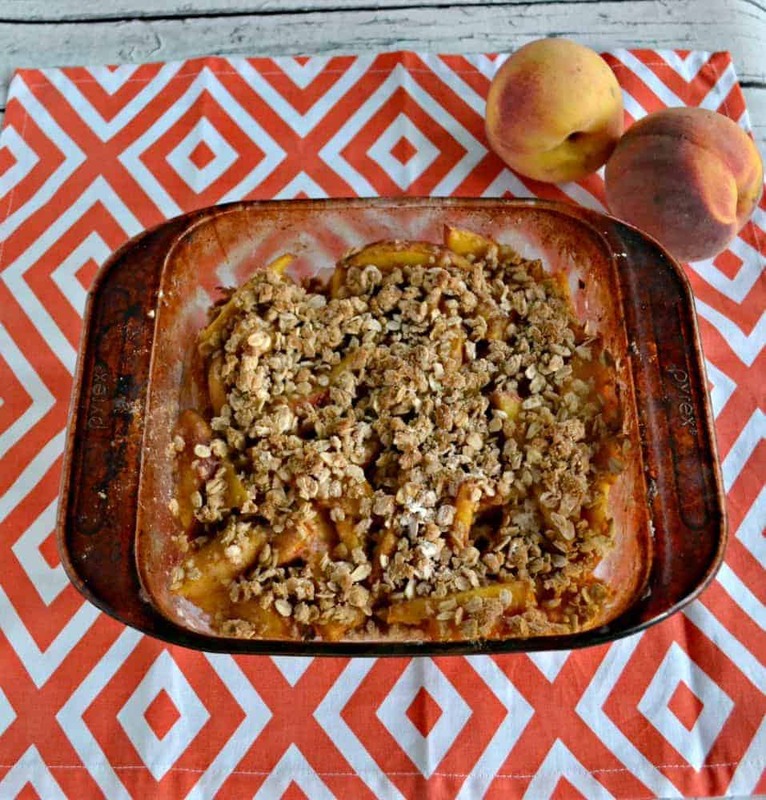 In a 9 x 9 baking dish, combine the peaches, flour, brown sugar, cinnamon, and sea salt. Mix well. Pour the water on top of the peaches. In a small bowl mix together all the ingredient for the crumble. 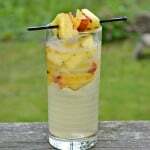 Mix until combined and sprinkle over top of the peaches. 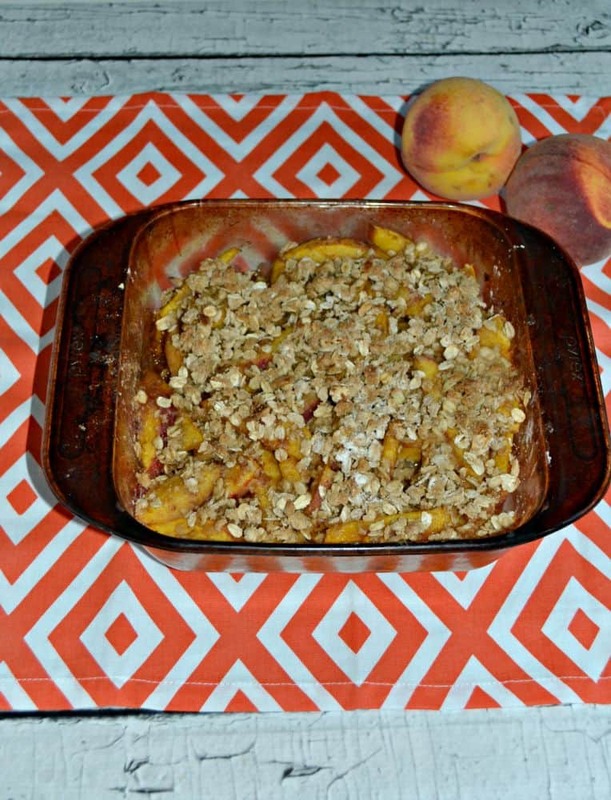 Bake for 20-25 minutes or until the peaches are bubbling and the crumble is golden brown. 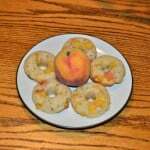 I received the peaches from the Georgia Peach Council but all opinions are 100% my own.